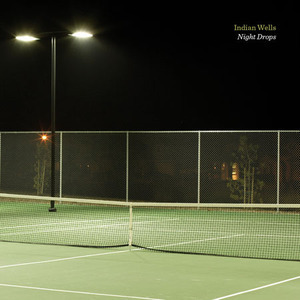 MP3 of the Day: Indian Wells, "Deuce"
via Bad Panda Records — We're glad to announce our 2nd physical release and introduce you Indian Wells. His first track "Deuce" [mp3] just debuted on XLR8R and was likened to Shlohmo’s lo-fi textures and Actress’ gritty techno mantras. Debut LP "Night Drops" will be out in june, meanwhile pre-order one of the 100 numbered CDs before they’re gone forever and follow Indian Wells on FB or SNDCLD for more news/mp3s. Trans Alp is back with new influences. We witness his 2010 version of electronic Dub and diverse steps here. The EP goes a step further whilst the musician uses a mixture of "sawtooth shredder" and fragile electronica aestetics at the same time. Unusually voluminous, yet clear and structured it delivers his own definition of the current 'hype machines', utilizing digital and analogue machines. The release This Is The End, Beautiful Friend by File Under Toner is a public domain treasure trove of album noise for all artists wishing to add the authentic warm crackle of old recordings to their new works. These sounds were culled from the end of the groove of vinyl, acetate, and even cardboard records. Are the hiss, crackles, and pops on records protected by copyrights? This controversial project by File Under Toner (Anki Toner, founder of Hazard Records, the free public domain label) posed the question and got into some trouble.